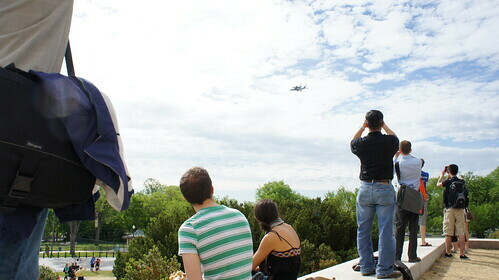 On the third flyby I tried switching to video on the NEX3. Quality was decent and the SCA/Shuttle duo looked really good in HD, but autofocus lag bit me partway through when the SCA passed behind another spectator. 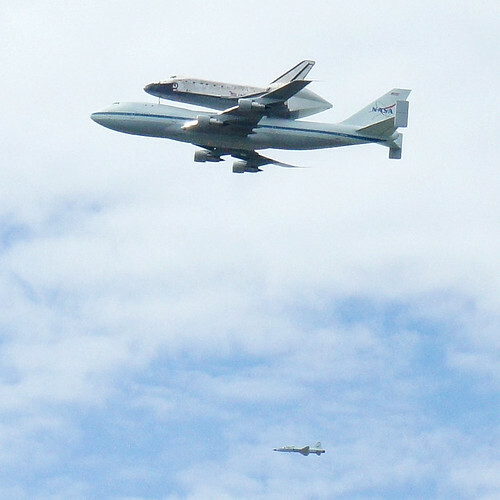 And then Discovery was gone, off to Dulles for an Air and Space reception, face-to-face with Enteprise, while I returned to work. 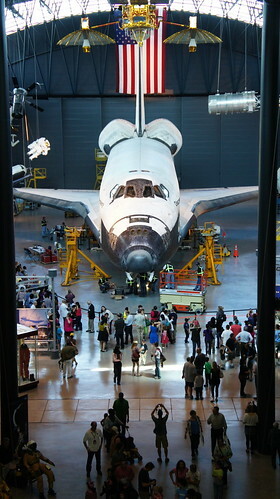 That Saturday morning we drove to Udvar-Hazy Center to see the shuttle in its new home. Now demated from the 747 SCA and wheeled into the Space Hangar, Discovery was still cordoned off as it was prepared for display by United Space Alliance personnel. 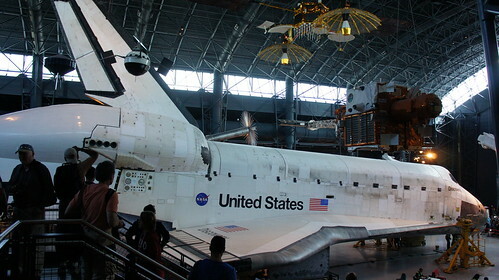 The hangar door was being closed at the time, and the tailcone was still attached to the shuttle’s rear while assorted pieces of hardware were being wheeled about, but enough space was left in the hangar to see the shuttle from most angles. 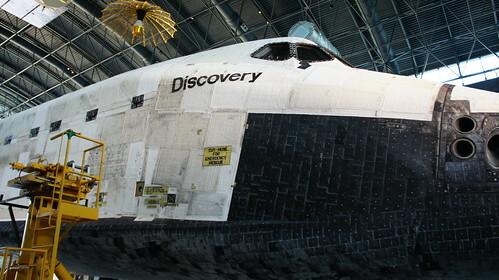 Sad as it is to see these majestic spacecraft retired to museums, the end of the Space Shuttle is probably a good thing for American spaceflight in general. 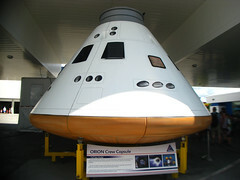 Ultimately STS was a dangerous and bloated program with inefficiencies built into the system by legislative bureaucracy, at literally astronomical expenses that cut into initiatives to develop new manned spacecraft. The real shame now is that a superior replacement system has not yet been built, owing to insufficient will or funding from presidency, congress, and general public. 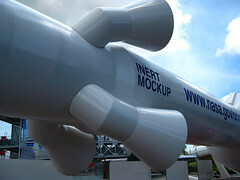 Constellation suffered the same problems, and we can see the mistakes of history repeating themselves with SLS and Orion. 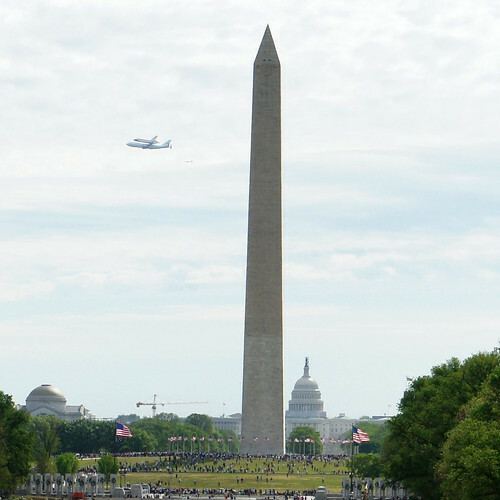 Today NASA stands in the same manned spaceflight gap it did between Apollo and Shuttle, with a chance to reboot the program from a blank slate with new technologies and systems — but suffering from the same political pressures and lack of support that marked the post-Apollo era. It doesn’t look good from here. 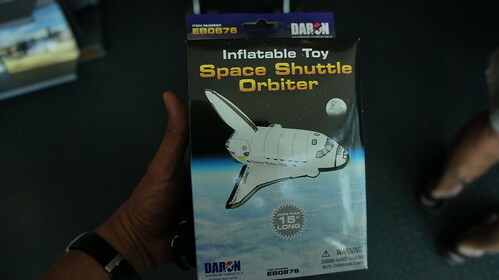 But on the up side some museums get some cool Orbiters. Maybe the N can stand for “Nostalgia” instead. 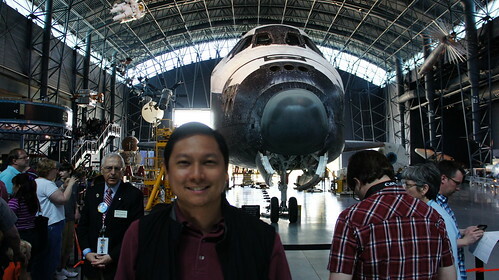 More photos in my “Space Shuttle Discovery Comes to DC” photoset on Flickr, and in case you missed it last year, my NASA Tweetup experience.